Spring is blooming in the garden of my new home. This witch hazel tree is full of these flopsy strands. Traditionally, the extract of its bark and leaves are used medicinally. 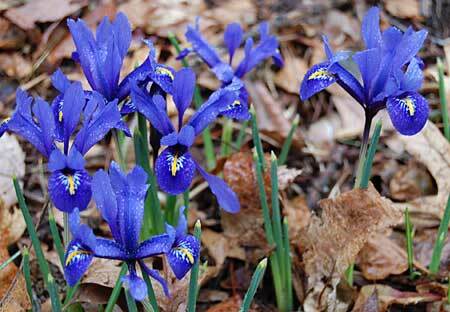 These rock iris are brilliant against the drab colors of the leaf mulch. I love their yellow tongues sticking out. It’s like they’re blowing a raspberry at the departing winter or even at us for believing that they’d never return. 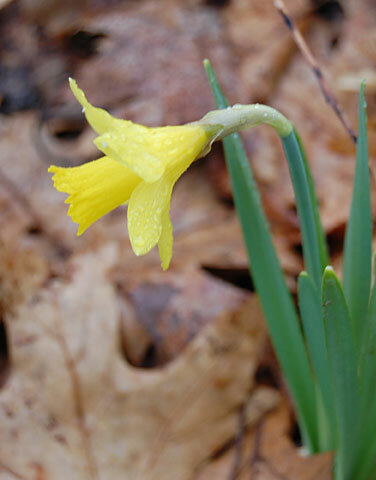 The lone daffodil. With all of the buds around, it will soon have company. 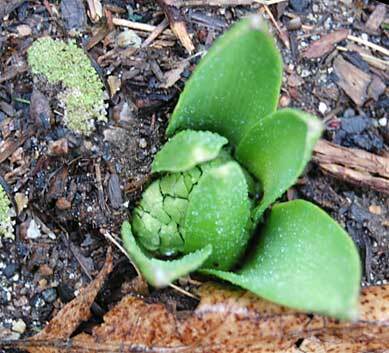 Here comes the hyacinth. I am looking forward to their sweet fragrance. This entry was posted in Beauty, Color, Gardens, Inspiration, Nature and tagged daffodil, hyacinth, rock iris, witch hazel. I’ve never seen Witch Hazel before!!! I love the little witch face in there….I had no idea. Thanks for reminding me that Spring should be coming to MN within a month or two! What lovely photos! Welcome spring! You’re welcome, Susan. Thank you for visiting. I hope that Spring arrives soon in MN! Lovely! 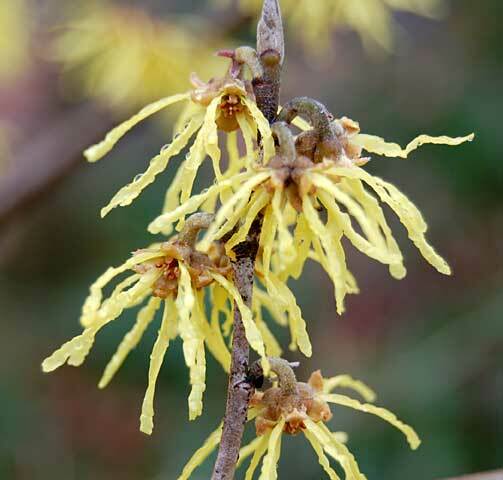 That witch hazel photo is just perfect! Thanks Steph! It’s a beautiful tree to photograph.